This webinar, Enhanced Analysis in Snap Survey Software, Part 2, is part of our Snap Summer Camp 2013 series, a series of free webinars taking place between June to September, 2013. For your convenience, we will be running this webinar twice. In this webinar, a Snap Training Consultant will show how reporting features in Snap Survey Software will enable you to create and distribute reports effectively and efficiently. The webinar will take you through running a variety of different types of reports, how to set them up using instructions, and how to edit and export them in a number of different ways. 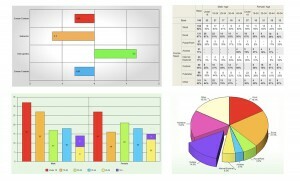 How a report might be used to produce a summary of your analysis, using tables, charts, or lists. This webinar will give you a good idea of how to start creating smarter reports and how your organization can benefit from better reporting.